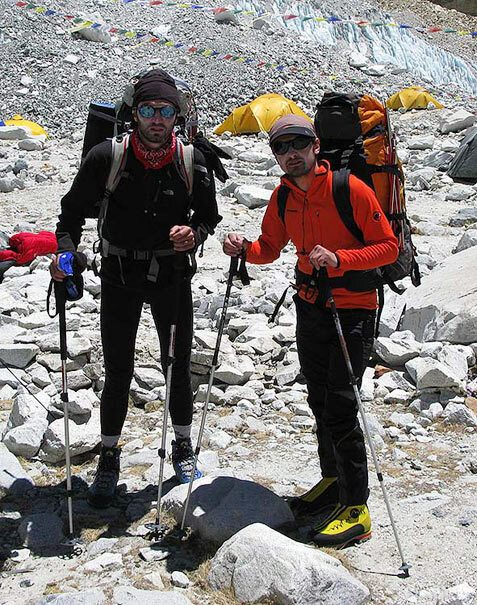 In the very morning of April 29 Mihnea and I left our ABC to establish Camp One at 6200m and to spend one night there to help with our acclimatization. 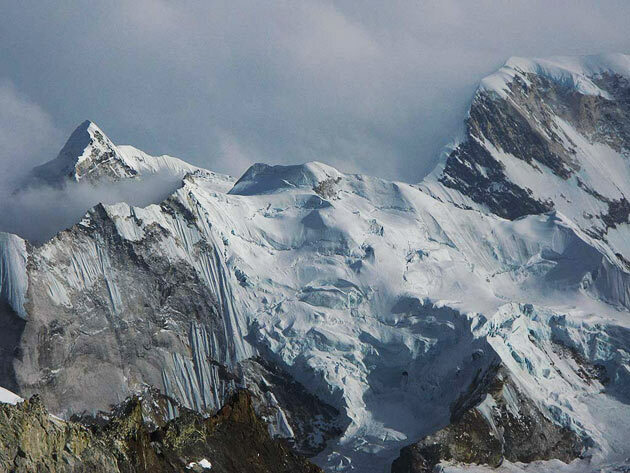 Our plan is to have established three high altitude camps at 6200m, 6800m and 7400m ( in Makalu La, the saddle between Makalu and its subsidiary peak Chomolonzo-7667m). 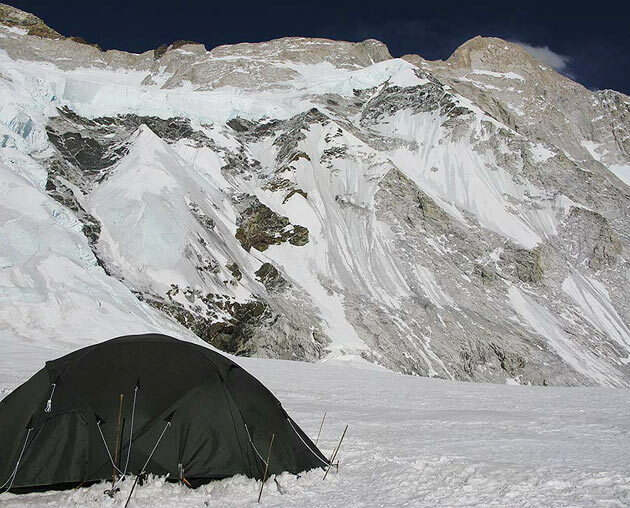 In the summit push we intend to take our tent from Makalu and have one high bivouac at 7800m before our summit day. 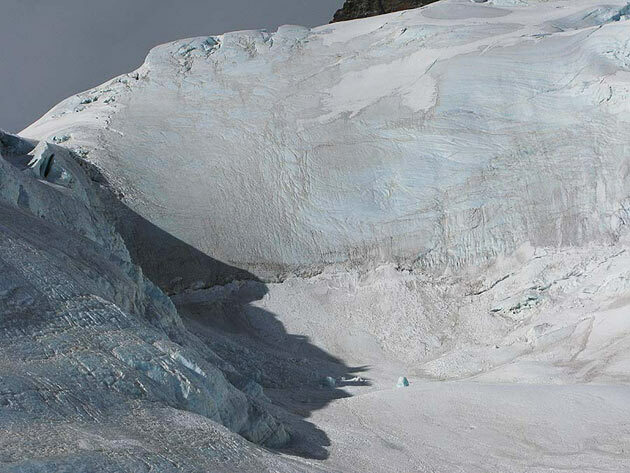 We couriously made it unacclimatized to Camp One in just about 3,20 hours and to our surprise we found there just three more tents. One of our Mountain Hardwear Trango 2 tent poles just broke and we had the challenge to fix our camp with one pole less. We took the pole down to ABC and performed a hopefully strong enough repair to it :) In the evening just started to snow mildly and the night was quite calm and warm for that altitude. After the yesterday’s high winds we hope our damaged tent is still there with everything inside. 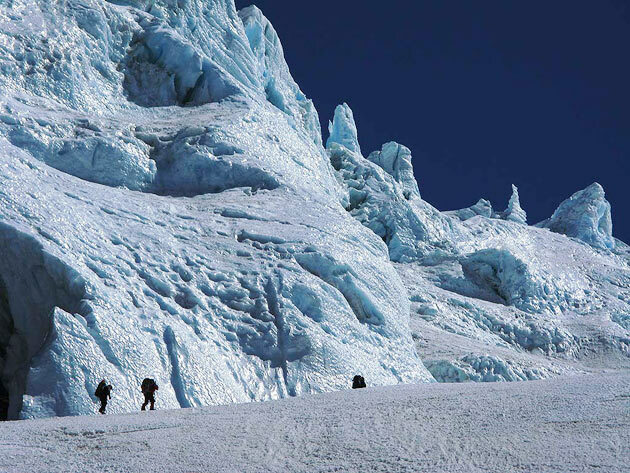 As we could see from our site, the way to Camp Two is taking to climb a nice ice wall in its first part. Last evening we had in our dining tent a very special guest, the Kazak climber Denis Urubko (summiter of 12 out of 14 summits over 8000m) speaking about his bold climbs and life generally with his famous modesty. Untill now the weather has been more than perfect which worries me a little :) From my two previous high altitude experiences on eight-thousanders, one big ten days storm is coming ( it was the same on Cho Oyu as well as on Gasherbrum 1). I really hope I am wrong. In ABC, winds are generally strong in the afternoon, giving me big trouble with the solar panels on my tent as well as with nerve wrecking sand blew inside. Tomorrow morning we leave to establish Camp Two.